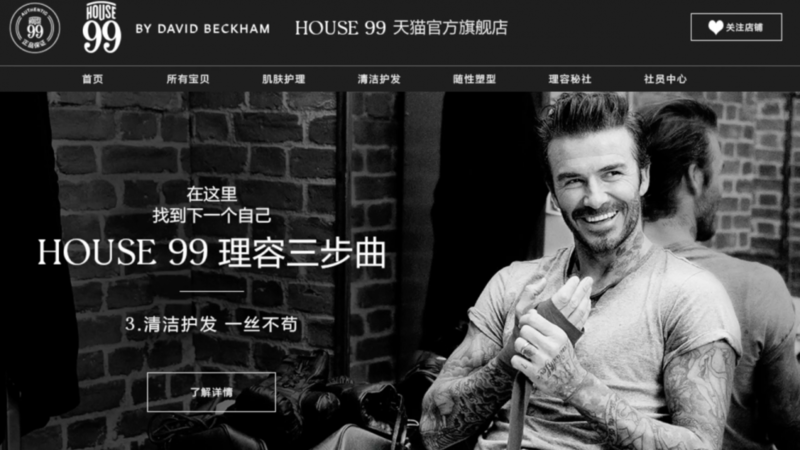 House 99, the premium male-grooming brand launched by football great David Beckham, is open for business on Tmall. The brand’s moisturizers, beard oils and styling gels first hit shelves earlier this year, in 19 countries, such as the U.K., U.S., Germany and Italy. On Tuesday, House 99 products went on sale in China for the first time, including through the Alibaba Group-owned B2C shopping site. “So I think that what we want to do is continue to bring a product to guys that really want to change their lives and want to look different and want to create a new look,” he said. The former Manchester United, Real Madrid and Los Angeles Galaxy star retired from the sport in 2013, but he has continued to make big moves in the world of business. He is a longtime spokesman for Adidas and has attached his name to brands such as H&M, Brietling watches and Haig Club whiskey. House 99, a partnership with cosmetics giant L’Oreal, is his latest venture. In a move related to male grooming, L’Oreal China on Friday announced its own partnership with Tmall to create new beauty products specifically for men in China. L’Oreal China will work closely with the Tmall Innovation Center, Tmall’s dedicated research and development arm, and leverage insights from Alibaba’s more 600 million users to better target its product development and marketing strategies to Chinese consumers. 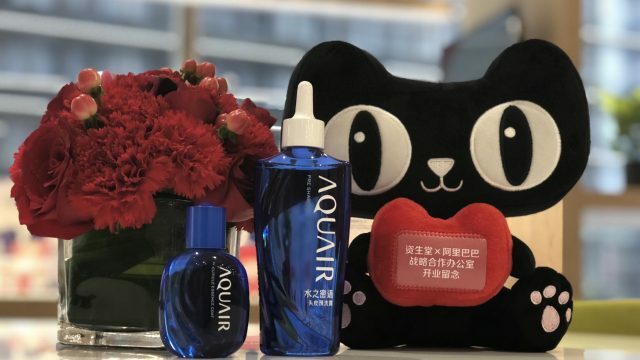 According to a white paper released Friday on the male-beauty sector from TMIC and the L’Oréal China Consumer Intelligence, total sales of male-beauty products in China grew 59% and 54% in fiscal years 2017 and 2018, respectively, the latter figure off a larger base, highlighting the market’s potential.